For this Mediterranean Cost Day, numerous experts are gathering on 25 September in Split the Croatian city hosting PAP/RAC, “the Mediterranean Coastal Management Centre”, to discuss past successes and shortcomings of Mediterranean coastal management, as well as new environmental challenges that require a more ambitious and urgent action. The Mediterranean is one of the most highly valued seas in the world, both from an environmental and economic perspective. It is home to a large diversity of ecosystems and species, with 17 percent of known marine mammals present in an area covering less than 1 percent of the world’s oceans. The Mediterranean Sea also plays a vital role in the economy of its bordering States and is an important source of employment. It is estimated that 420,000 people work in the fishing and aquaculture sector in the Mediterranean, and another 550,000 in maritime transport. 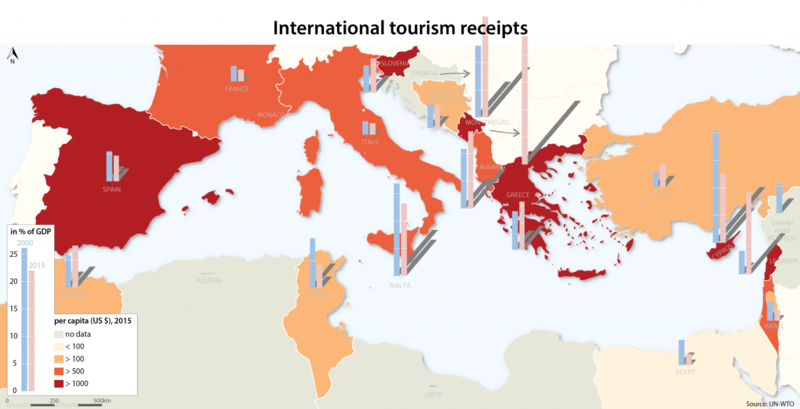 Its coasts also account for 30 percent of global tourist arrivals. The region’s heritage and resources have experienced a progressive degradation over the last decades. Today, the Mediterranean is one of the 25 top global biodiversity hotspots and one of the two most responsive regions to climate change. 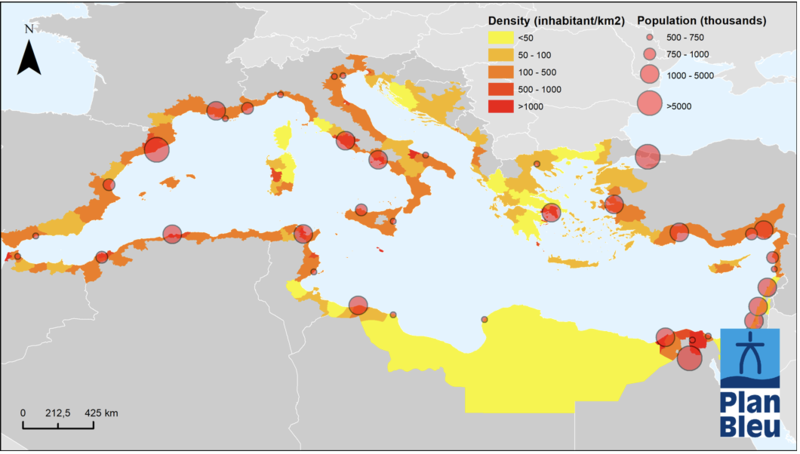 Around 40 percent of the Mediterranean coastal zone is covered with man-made structures. Pressures are becoming more and more intense with around one in three people living in the coastal regions of the Mediterranean Countries. To date, the trend towards urbanization has been accompanied by increased pressure on the environment. While cities occupy only 3 percent of the Earth’s terrestrial surface, they consume over 75 percent of natural resources. the Mediterranean Coast Day 2018. On this year’s Mediterranean Cost Day, MAP celebrates the 40th anniversary of PAP/RAC, “the Mediterranean Coastal Management Centre”. Over the past 40 years, PAP/RAC has been instrumental to protect the Mediterranean coast. A major milestone was reached recently, in 2011, when the Integrated Coastal Zone Management (ICZM) Protocol entered into force in the framework of the Barcelona Convention. Through this legally binding instrument, Mediterranean Countries committed to ensure the sustainable management and use of coastal zones. This includes, among others, the establishment of a 100 meters setback zone in the Mediterranean coastal areas. To date, 10 Mediterranean countries and the EU have ratified the ICZM Protocol. “Looking back at these progresses reminds us that change is possible. Economic growth doesn’t have to come at a cost to the Environment” said Gaetano Leone, MAP’s Coordinator. “But changes will require a regional approach. The Mediterranean is at a crossroad between 3 continents, Africa, Asia and Europe. A real difference can only be made if Governments work together with greater ambition and urgency towards a sustainable use of the Mediterranean”.